BOOM! Studios is proud to unveil its exclusive comic and hard cover items for Comic-Con International 2013 in San Diego, which include exciting new debut material and fan favorite series. Both BOOM! 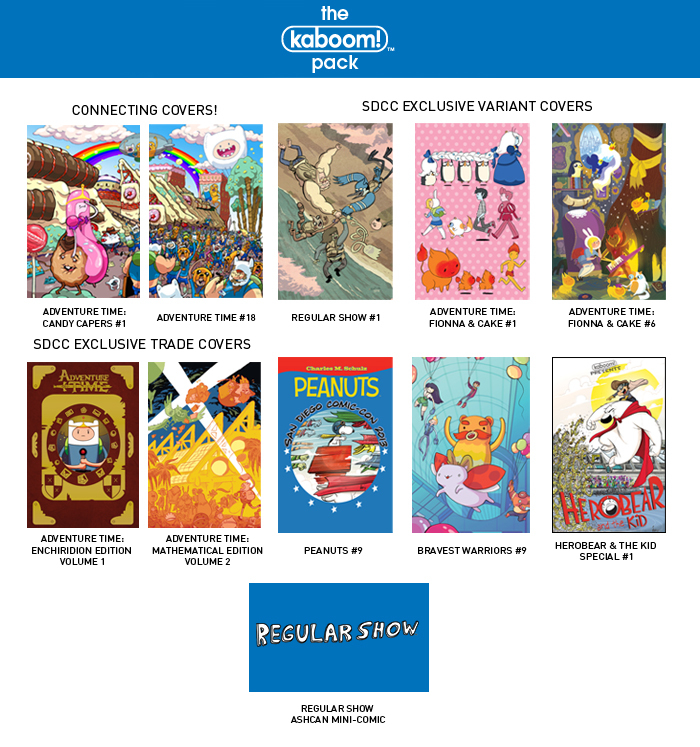 Studios and its all-ages imprint, KaBOOM! 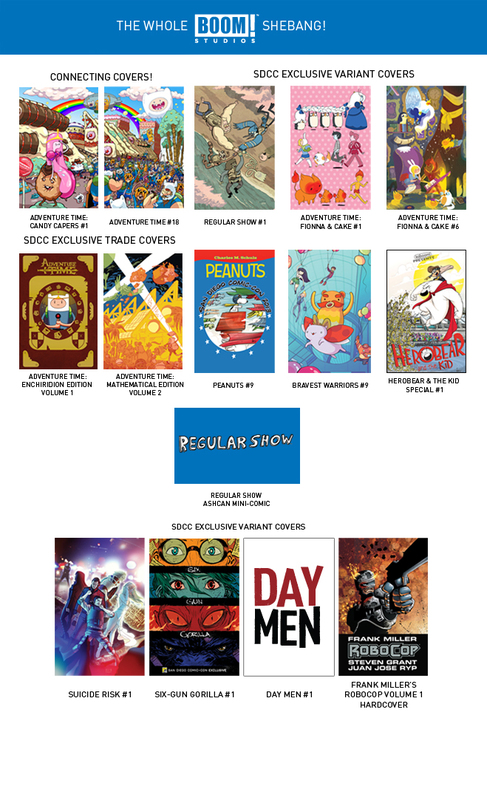 Studios, will be return to Comic-Con International in full force from July 18th to the 21st with exclusives for ADVENTURE TIME, ADVENTURE TIME: CANDY CAPERS, ADVENTURE TIME: FIONNA & CAKE, REGULAR SHOW, HEROBEAR AND THE KID, PEANUTS, BRAVEST WARRIORS, SUICIDE RISK, SIX-GUN GORILLA, DAY MEN, FAIRY QUEST, and ROBOCOP: LAST STAND. For the first time, BOOM! will give fans and collectors a unique opportunity to guarantee they secure every exclusive item by offering four pre-order packages. These pre-order packs will be offered only via the BOOM! 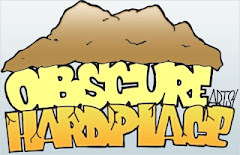 Studios web store and will allow purchasers to pick up their items at their convenience from the BOOM! Studios booth in San Diego. 1) The kaBOOM! Pack: contains all exclusives for the all-ages line, including connecting covers for ADVENTURE TIME: CANDY CAPERS #1 and ADVENTURE TIME #18, variant exclusives for REGULAR SHOW #1, ADVENTURE TIME: FIONNA & CAKE #1 and #6, HEROBEAR AND THE KID #1 Animation Cell, PEANUTS #9 and BRAVEST WARRIORS #10, the REGULAR SHOW Mini-Comic, and trades/hardcovers for ADVENTURE TIME Vol. 1 Enchiridion Edition, ADVENTURE TIME Vol. 2 Mathematical Edition, and ADVENTURE TIME Vol. 1 PLAYING WITH FIRE OGN 3-D variant cover. 2) The BOOM! Studios Pack: contains all exclusives for the BOOM! 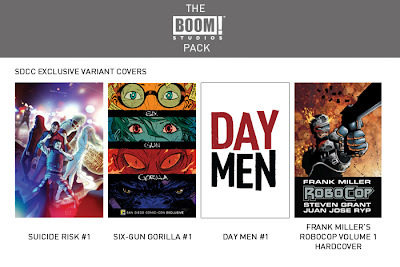 Studios line, including variant exclusives for SUICIDE RISK #1, SIX-GUN GORILLA #1 and DAY MEN #1 as well as the BOOM! exclusive edition of the FAIRY QUEST: OUTLAWS hardcover and the hardcover edition of ROBOCOP Vol. 1. 3) The BOOM! 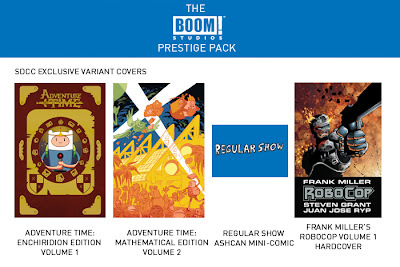 Prestige Pack: contains all hardcover and trade paperback exclusive for both the BOOM! and KaBOOM! Studios lines, including the REGULAR SHOW Mini-Comic, ADVENTURE TIME Vol. 1 Enchiridion Edition, ADVENTURE TIME Vol. 2 Mathematical Edition, ADVENTURE TIME Vol. 1 PLAYING WITH FIRE 3-D variant cover, the BOOM! exclusive edition of the FAIRY QUEST: OUTLAWS hardcover, and ROBOCOP Vol. 1 Hardcover. 4) The Whole BOOM! Shebang: contains every title listed above for both the BOOM! and KaBOOM! Studios lines. For this package alone, BOOM! will also be offering a limited edition PEANUTS Vol. 1 Hardcover (valued at $50) absolutely free to the first 100 orders placed. While all items will be offered at retail price individually at the BOOM! 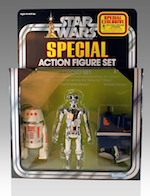 Studios booth, these special sets will be available only on the BOOM! 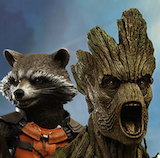 Studios website for pre-order beginning Monday, July 1st.